I started my first PEPLUM Youtube channel back in May 2007 and I created this blog back in October 12, 2010, way before what’s currently available right now. This blog gets between 1000 to 1500 hits a day with nearly 1.4 million page loads since it’s inception making it the most popular source of info on the PEPLUM genre. At one point my original PEPLUM Youtube channel got over 6 million visits before Youtube messed it up. There were only a few Youtube channels showing PEPLUM films and the only blogs that were available back then were the French blog and Brian's Drive-In Theater. That’s it. There were some movie reviews here and there but finding a general source of information on the PEPLUM genre on the internet was pretty scant. Fast forward several years and now there are several number of Facebook accounts covering the subject that’s already been pretty much covered here. There are over 3100 posts made here (some I had to delete because of problems with Youtube) at the blog, including reviews, special features, etc. This blog is a real bank of information on the subject. I rarely, heck never get the info elsewhere and if I do I always credit them (like Ron Campbell with that great GIANT OF MARATHON photo I posted recently). Here's a quick rundown of information first seen here at the PEPLUM blog. 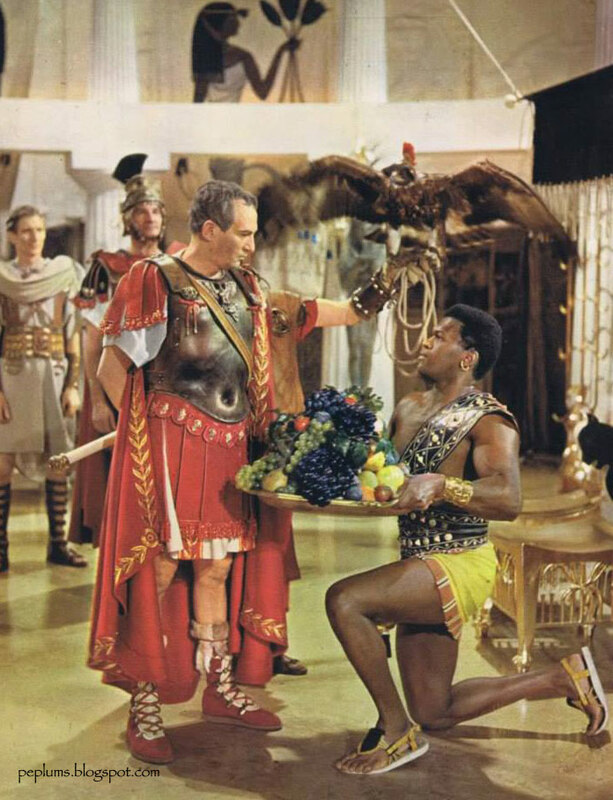 - First article on the internet to write about a cocktail party for HERCULES AGAINST THE GODS, the unmade third Hercules film starring Steve Reeves. - First visual proof on the internet that the second Goliath in GOLIATH VS THE VAMPIRES was Giovanni Cianfriglia, not Steve Reeves as it always been erroneously reported for decades. - First on the internet to report that Giovanni Cianfriglia was the stuntman/body double for Steve Reeves in THE GIANT OF MARATHON, not Alan Steel as often reported. First article and Second article. - First on the internet to report the actor who played Moloch in HERCULES VS MOLOCH was Pietro Marascalchi and not Mario Novelli. - First on the internet to write about and show image from the Egyptian version of KERIM - SON OF THE SHEIK: First article and Second article. - First comprehensive list of film titles to be found on the internet on the PEPLUM genre, including silent films, Swashbucklers and 1980s titles. Many titles are missing but the list is a work in progress but I know for a fact that a lot of people have used this list as a reference/guide. And you didn’t have to pay for it. The page alone has been viewed 8438 times. - Pages on HEROES & BEEFCAKE, viewed 21276 times and BABES & BEAUTIES viewed 15906 times. - Mimmo Palmara exclusive photos of event dedicated to star, event created by Paolo Belocchi, who provided the photos. - First online tribute to Pietro Francisci, my favourite director of the PEPLUM genre. - 30 GREATEST MOMENTS OF PEPLUM CINEMA : First list on the internet (or any medium) about the best moments of the Golden Age of PEPLUM cinema. 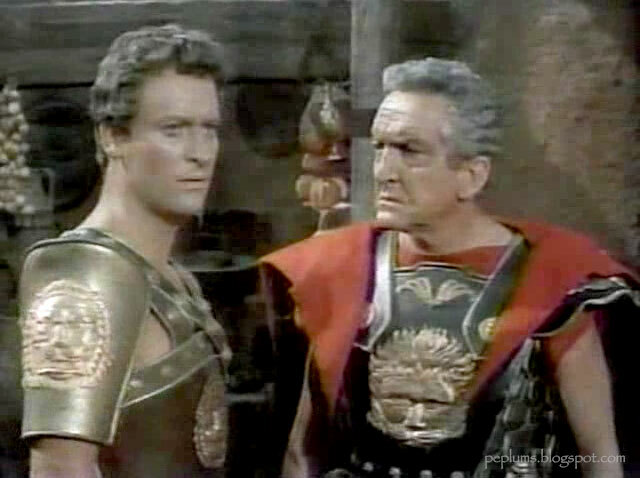 - First on the internet to mention that Giovanni Cianfriglia is the stuntman in THE LION OF THEBES. - First blog to identify Ahmed Ramzy after reporting that IMDb’s info on SON OF SPARTACUS is totally wrong. - First on the internet to show brothers Joe and Doug Robinson side by side. - First non-newspaper article on the internet to report that Iloosh Khosabe passed away: First article and Second article. I had other tributes but I had to take them down because of Youtube's foolery. - First on the internet to compare the similarities between Star Wars and the PEPLUM genre. And this is just the tip of the iceberg. Not included are the many screenshots of rare PEPLUM films which were never seen on the internet anywhere but here first. Many Cinematic Confusions or Goofs, SAME SCENE, DIFFERENT FILMS or SAME SET, DIFFERENT FILMS or THEN & NOW and many WHO WORE IT BEST which are exclusive to the blog. The list is endless. And accounts at Google+ and Twitter. The reason why I’m stating this is because a lot of this info and photos have been taken from my blog and parlayed around the internet by others for their own good. Photos with the old and new blog’s watermark visible for all to see and yet they pretend it’s their own. A lot of the information, exclusive and posted first at my blog (as listed above), have trickled down to other PEPLUM sites and this information is now treated as common knowledge without any credit to this blog. A big chunk of the information that’s out there on the PEPLUM genre has come from this blog, the first English speaking blog fully dedicated on the PEPLUM subject on the internet. I actually like the PEPLUM genre and will continue covering the subject as long as I humanly can. But credit has got to go where credit is due. The whipper is unidentified as far as I know.